I have to admit I am typically a skeptic when it comes to detective novels. I normally have a problem with details. Often time’s authors are unfamiliar with jargon and get it completely wrong. Silas Payton is the exception. His characters are very well developed and when he throws police procedure into the mix, he is always right on point. He has also captured the interplay between associates in law enforcement masterfully. The interaction and insulting jibes that occur between Herb and Harry are humorous, but typical in this line of work. I am not familiar with the J.A. Konrath’s novels so I cannot compare styles or characters. However, I can say that Payton’s characters are well developed and entertaining. Herb was the perfect underdog that everyone is rooting for in the end. The plot moves along seamlessly and at just the right pace with a little humor thrown in for good measure. I thoroughly enjoyed this book, and would definitely recommend it to others. Thank you Silas Payton for creating a novel that is suspenseful, action packed, realistic, but fun. 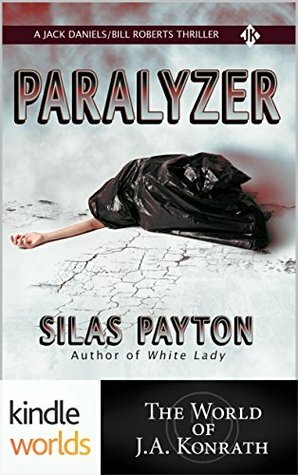 Sign into Goodreads to see if any of your friends have read Paralyzer.